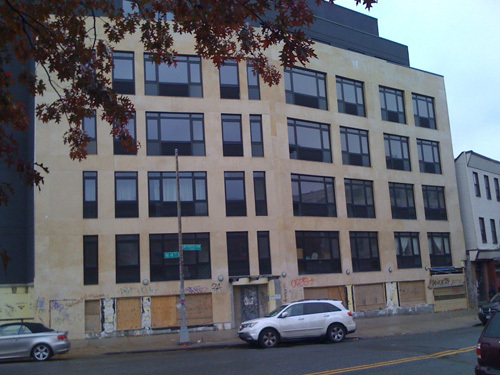 349 Metropolitan Avenue started out pretty ugly, and it was clear from the outset that the craftsmanship left something to be desired. But now that it’s had a few month to stew in its foreclosure, the project is really detracting from the neighborhood. What about those ugly gray buildings that have sprung up?